Protests calling for the resignation of President Omar al-Bashir are ongoing in Sudan and police have been ordered not to intervene. Interior Minister Bishara Gomaa says tear gas and live rounds have been used against protesters, causing at least seven deaths and 15 injuries. The opposition disputes those figures, saying around 20 people have been killed so far. The protests have escalated in recent weeks as soldiers reportedly began shielding protesters from other security forces. Italian police have arrested a British tourist for removing tiles from a floor mosaic in Pompeii. 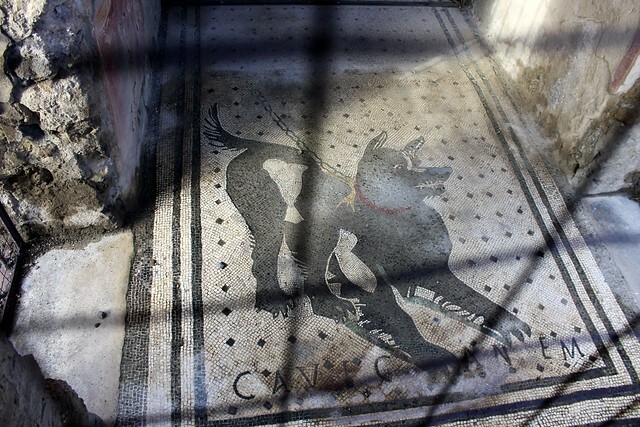 After she crossed a barrier in a dwelling known as Casa dell’Ancora, or ‘House of the Anchor’, the British tourist allegedly used a tool to chip off parts of the mosaic and caused an estimated A$4,700 in damage to the archaeological site. 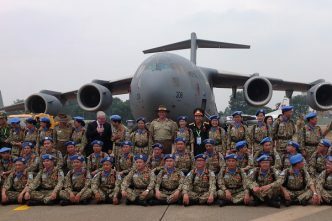 Mexico’s newly formed National Guard will receive training from the United Nations High Commissioner for Human Rights after an agreement was signed between the UN and the Mexican government. The National Guard was approved by the Mexican Congress last month and both military police and federal police will be among its ranks. The UN is set to provide technical assistance to the new force and has emphasised the strong link between stable and secure societies and full respect for human rights. In a ‘near systematic purge’ of the US Department of Homeland Security, President Donald Trump has accepted the resignations of the department’s secretary, Kirstjen Nielsen, and Secret Service Director Randolph Alles, and pulled the nomination of Ronald Vitiello for the role of immigration and customs enforcement chief. Trump said he wants to move the department in a ‘new direction’, after the number of people apprehended along the US southern border with Mexico reached 103,000 last month. That number is higher than in any month since 2008. A five-day conference between Border Guard Bangladesh and the Myanmar Police Force is underway in Naypyidaw, Myanmar. The talks will cover drug smuggling, trespassing, tackling terrorism and ‘firing at frontiers’. Meanwhile, Bangladesh has deployed border guards to St Martin’s Island after maps printed in Myanmar showed it as part of that country’s territory. A new border crossing on the Yalu River between China and North Korea opened on Monday. The border checkpoint connects the northeastern Chinese city of Jian with the North Korean city of Manpo and is the fourth checkpoint between the two countries. 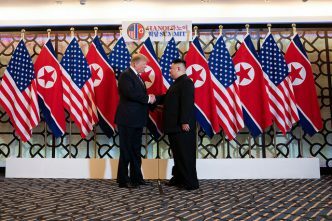 It’s unclear what role the crossing will have in moving goods between the nations, given the UN sanctions against North Korea. In the past, China has provided a lifeline to North Korean leader Kim Jong-un, helping to keep the country’s struggling economy afloat. The US has designated Iran’s Islamic Revolutionary Guard a terrorist organisation, claiming that Iran uses terrorism as ‘a tool of statecraft’. 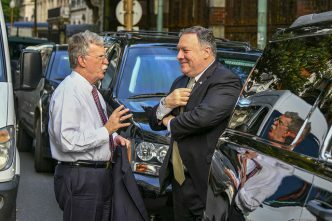 It’s the first time the US has labelled part of another country’s military a terrorist group and will allow the US to impose further sanctions on Iran. 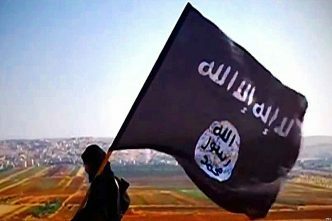 Iran has responded by naming US Central Command as a terrorist organisation and President Hassan Rouhani said the US is the ‘leader of world terrorism’. A report tabled in parliament last week found that sentencing and non-parole periods for children convicted of terrorism offences breach Australia’s obligations under the United Nations Convention on the Rights of the Child. The Law Council of Australia says that when dealing with children, the justice system’s main focus must be rehabilitation and reintegration back into society. A German woman is on trial in Munich for the murder of a five-year-old Yazidi girl whom she kept as a slave during her time with the Islamic State terror group. The woman has also been charged with war crimes, terrorism and weapons offences. The girl’s mother, who was also held as a slave, is expected to testify. Twenty-three former emergency service chiefs have issued a joint statement urging the Australian government to take more action to tackle climate change. 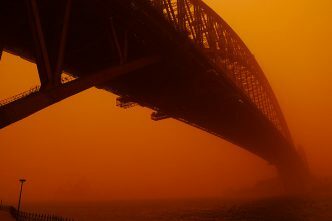 Although the government recently announced a $2 billion ‘climate solutions fund’ to reduce emissions, it has been criticised for not doing more as Australia becomes increasingly vulnerable to natural disasters and extreme weather events. Several countries have assisted in local recovery efforts in Iran after record floods inundated all but three of its 31 provinces. Incredible images show torrents of water destroying buildings and flooding entire towns. According to NASA, some parts of the country received 70% of their annual rainfall in one day. The extent of the flooding has raised questions about the government’s poor water management and extensive construction of dams. Iran has been affected by years of drought. Nearly a month after Cyclone Idai devastated Mozambique, more than 593,000 people have been vaccinated to help prevent the spread of cholera. It’s an important achievement, as this figure represents roughly 73% of the target population. The disease has spread through contaminated water and food in the wake of the disaster, infecting more than 3,100 people. Genevieve Feely, Rhys De Wilde, Mali Walker and Luke Courtois are research interns at ASPI. Image courtesy of Trevor Huxham on Flickr.